I've dabbled in social media managing + blogging a good number of times in my life. Drag and drop is king. This is a CoSchedule review, but I have to bring up a huge reason why I chose Squarespace: drag-and-drop designing! But Raquel, Google Calendar has drag-and-drop features too! On top of that, they're free to use! Yup yup — but Google Cal isn't intuitive / easy to use when it comes to creating a content calendar. It's more for events, meetings and day-to-day tasks — not project management and editorial work. Maybe you can feel me on this: my computer is OLD. In need of immediate repair and/or retirement. While purchasing a new one is still on my wish list, I try to keep things moving as quickly as possible — that means few tabs + extensions on my browser as possible. CoSchedule lets me schedule and organize both blog AND social media posts all at once. Can you hear my happiness? Because I'm really happy. Starting a blog is hard. Easiest statement I'll say all day today. Why Hasn't Anything Else Helped? I've worked as a freelance writer, student blogger, junior marketer — and in the days, I've used a lot of social media management apps. Their website stresses me out; it seems really 2008 in design and functionality. 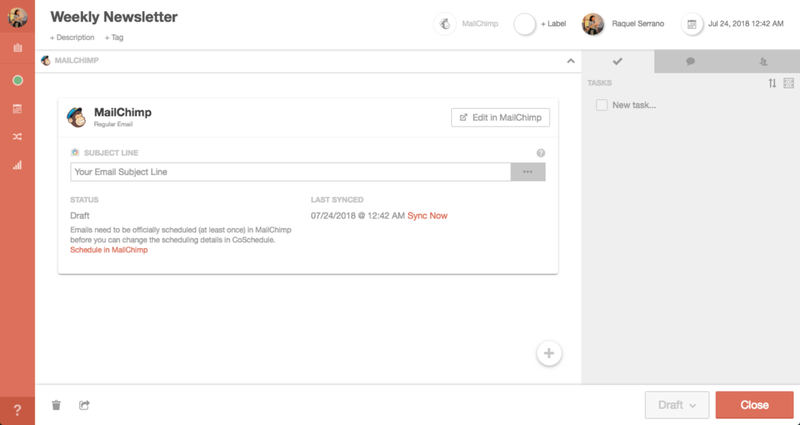 Drag-and-drop helps, so do the different channel options for each social media account. But the design... I'm not good at visualizing things and clunky spaces don't help with that. I used this platform back when I was a summer marketing intern for a nonprofit. They're GREAT but it is way too expensive for bloggers + solopreneurs. Their smallest plan begins at $99/user/month. Is it worth it? Yeah, in a sense. With the ability to add 10 social accounts and manage your comments / inboxes, it sounds like a good investment. But it's too much — and at the same time not enough. I'd still need an extra tab open to organize my blog posts + email marketing. Going back to my issue with needing the closest thing to an "all-in-1". While Buffer has a crazy clean design, drag-and-drop features and a social media calendar, it still doesn't help with managing my scheduled blog content or writing out emails for my mailing list. Raquel, this sounds like a discipline / will power problem. You can use any tool and be successful with it as long as you apply yourself enough. Granted, this could just be the inner critic in me, but believe me — stick around long enough on this blog and I'll get into all of that soon enough. In the meantime, NO, it's not that easy. So let's jump into the tool that's currently helping me getting me get ALL of the work done! CoSchedule doesn't only help you with managing your blogging schedule, your drafts, your social media posts — BUT it also lets you work on your email marketing! There are just so many features packed into this one calendar + scheduling app. Let's get into the perks that sold me! A snapshot from my own marketing calendar, mid-drag. This is a must-have for me! What easier way is there to visualize when my blog posts, social media posts + emails are scheduled to go out to you all? A big BONUS feature for me on CoSchedule is the WORKBOARD area, which is where I save my ideas + blurbs for future blog posts and social media post ideas. Again, the less tabs open for me, the better! I was desperate for a feature like this. I thought that I could make it work with the Tasks bar in Google Calendar, but since that was created to function as more of a to-do list, the easy drag-drop-schedule flow I desired didn't come by as easily as I wanted. On top of all of the "draggy-droppy" goodness, CoSchedule is HUGE on offering ways to add color to what you add on to the calendar, including labels with unique colors and searchable tags. I won't lie: the calendar portion is one of the biggest reasons, if not the main reason, why I chose to use CoSchedule. CoSchedule is all about knocking down the number of tabs you have open on your browser. Too many tabs + browser extensions can take up all of your memory, making your computer slow + difficult to use. If I'm honest, a laggy laptop doesn't exactly help motivate me to work. By connecting my calendar to different integrations, CoSchedule can access and show my Google Analytic stats, my notes on Evernote — no more open tabs! CoSchedule also created their own unique integration called ReQueue! It loops your previous social media posts that proved popular with your audience, so that you can continue to share evergreen / "never gets old" content. It's the perfect hack to keep your accounts alive with great content, with nothing but a few clicks. ReQueue comes free with any trial and paid subscriptions! 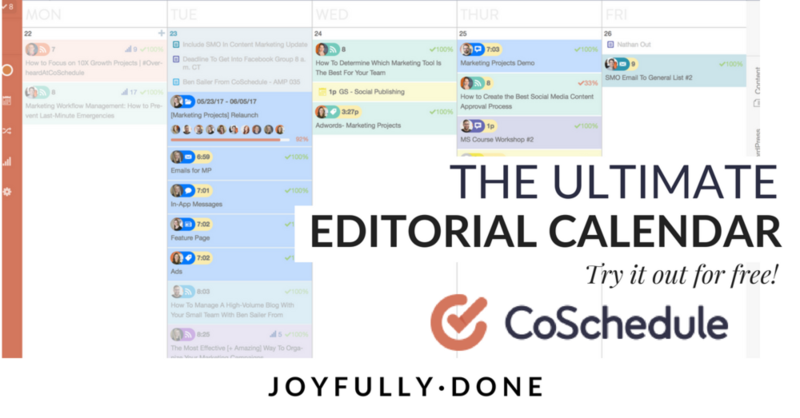 On top of all of that, CoSchedule is sure to offer a super handy browser extension that makes scheduling + sharing links easy. You're able to edit your post, schedule it, tag other people / accounts and see it in a live preview, all without opening any new pages. Like I said, I've been using CoSchedule's free products for a while. My first was their Headline Analyzer, which lets you test out different titles for blog posts based on keywords and smaller details like emotional context and phrasing. Headline reviews are based on the balance of keywords and factors like emotion and power. This is a must-have for bloggers, freelance writers and those with a mailing list to nurture. Think about it: you know the different between a good title and a bad one. A happy sentence and a sad sentence. Us introverts especially, we're masters at picking up emotional cues that way. But we can be terrible at putting that into play for our own good. There's also the Social Message Optimizer which helps you write the best posts for each different social media profile. If that wasn't enough, they also have their Email Subject Line Tester which helps you write a subject line that will hopefully get you all the opens. All these tools are automatically kicked in while you work on the CoSchedule site. It's like Clippy the Paper Clip from the old Microsoft Office days, but way better. 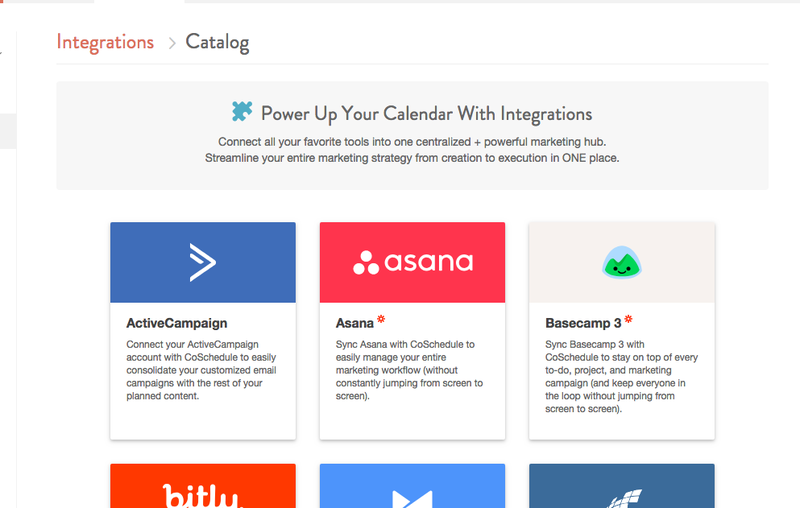 ⇢ These tools are available to use for free right now, without a subscription to CoSchedule! I type out this blog post — cool. I come up with variations of social media posts to publish on Facebook, Twitter, LinkedIn — awesome. Write out an actual email to the mailing list I'm already nervous about? Do I have to? Now, I can't wait! Like I said before, freedom + ease make way for the difficult to get done! I don't know what your current ambitions are online — if you want to be a blogger, a social media manager, a product creator or all of the above! I've tried plenty of strategies + apps. I'm happy to finally be able to add CoSchedule to my toolbox, as well as recommend it to anyone seeking the freedom + fun that comes with blogging and running an online business. Create your own editorial calendar — blog, social media posts + all — for free during a 14-day trial. If you love it so much that you want to look into their paid packages, send me a message + I'll help you research your options! I'm so serious about this app, I'm willing to invest my own time into helping you make the most of it. schedule your FREE set-up call / email / chat! We can do it through Skype, phone, email, Facebook messenger — your choice. I'll show you all I know about how to set-up your calendar and how to use customizable options like label colors + tags. More than that, all of my current hacks + tips: they're yours! Have you heard of or even tried CoSchedule before? Do you have any questions I can help answer? Leave them below in the comments or send me an email!